Economic disparities are clearly present in our target neighborhoods but there is also a breakdown in relationships that we believe contributes to the systemic poverty present in our city. These relationships are the ones we have with God, with self, with others, and with the rest of creation. These broken relationships help explain why many of the problems associated with low-income neighborhoods like violence, distrust of authorities, drug use, high school drop-out rates, teen pregnancies and unemployment are perpetual even though services and resources have been present for many years. This understanding of poverty has shaped the way we choose to respond. When poverty is defined solely in economic terms, solutions tend to be short term fixes to a larger problem and may lead to dependency on social services. The “unspoken assumption is that when the missing things are provided, the poor will no longer be poor” (Myers, 65). Relief-based approaches, which provide temporary aid to reduce immediate suffering, can perpetuate the cycle of poverty that is found in cities across the country. 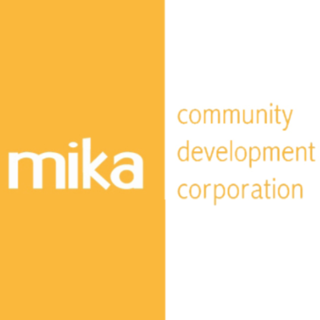 Organizations already exist in our community to provide services that address more basic relief to the poor, so Mika works to build whole relationships through our core strategies of leadership development and community building.